Explore what Soldier Trucking has to offer. 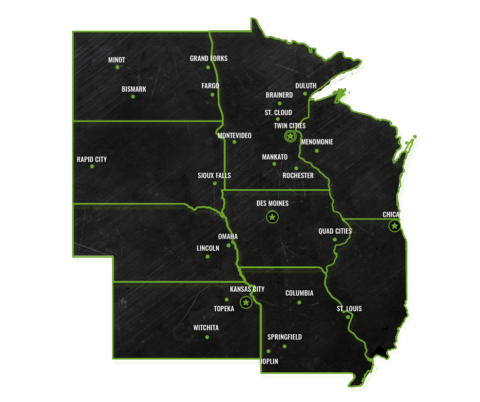 We take pride in the fact that most of our routes are right here in the Midwest. Find out which routes will work best for you and your lifestyle. Soldier Trucking is a family owned and operated business, so we know how important family can be. We'll work with you to find an ideal route, schedule, and income that best serves you and your family. Interested in working for an ambitious company? Find out which careers are available and what advantages they have to offer. We are always ready to help you. There are many ways to contact us. You may give us a call or send an email, choose what suits you most. We here at Soldier Trucking all work together to provide a safe work environment for our employees and for those who share the road with our drivers. We strive for excellent customer satisfaction through our on time delivery, hard work, and excellent customer service.